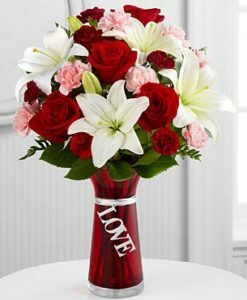 Glitzy and gloriously romantic, this ruby red glass bubble vase with “love” written in rhinestones is sure to win her heart. 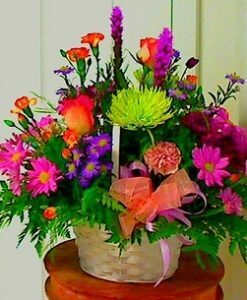 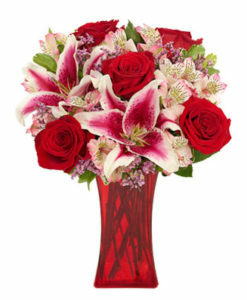 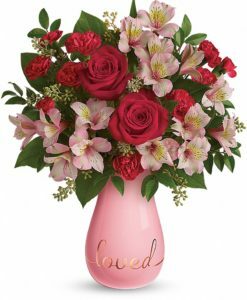 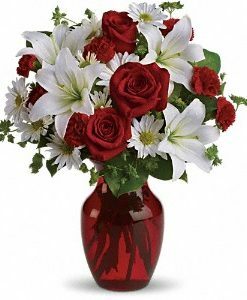 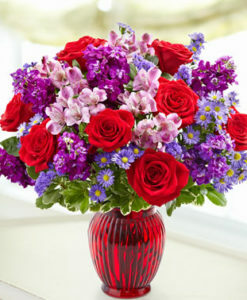 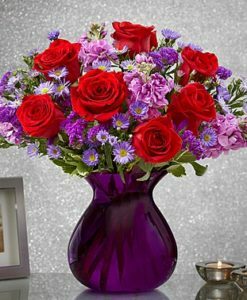 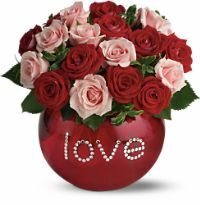 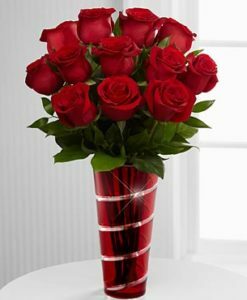 The charming bouquet includes pink spray roses and red spray roses accented with oregonia. 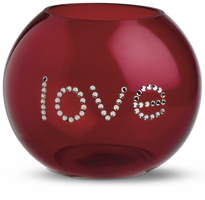 This delightful ruby red glass bubble bowl with “love” written in rhinestones will be a favorite for flowers, jewelry — even candy.